Hello There! Thanks for visiting my Etsy shop! 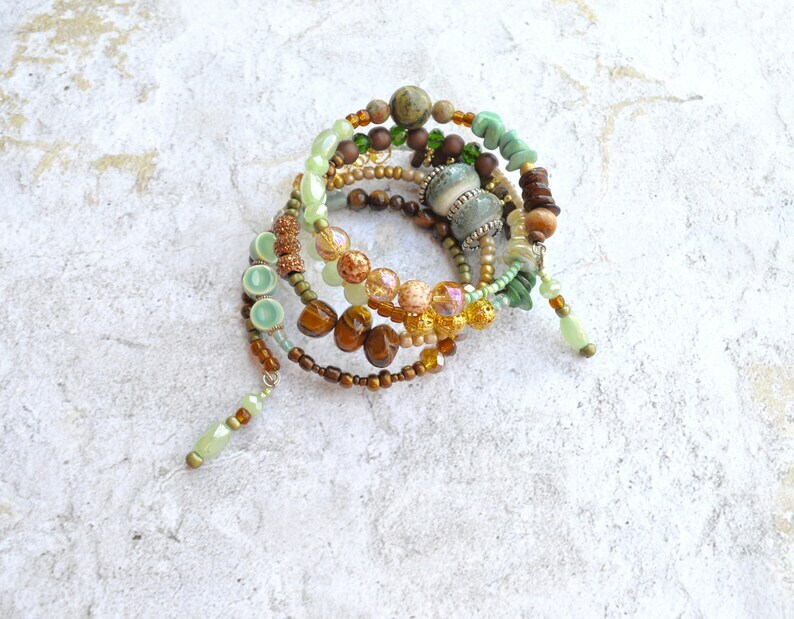 This bracelet has a mixture of gold, glass, wood, crystal, ceramic and sea beads. It's a very earthy piece. It can be dressed up or down. It fits a wrist of 6cm to 7.5cm because it stretches.